The Mid-Autumn Festival, called “Zhōngqiū Jié” in Mandarin Chinese, has been celebrated throughout Asia for thousands of years. Traditionally, family and friends come together to give thanks for the bountiful harvest, pay tribute to deities like the moon goddess Chang’e and engage in various regional customs. According to the Chinese lunar calendar, the Mid-Autumn Festival is held on the 15th day of the eighth month, coinciding with a full moon. 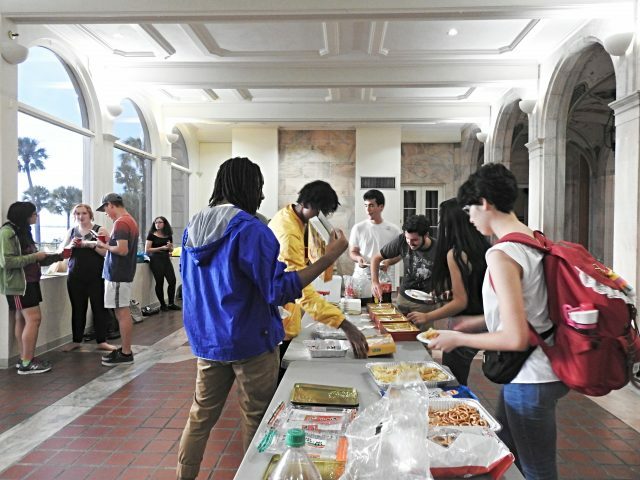 On Sept. 24, members of the New College Chinese program and the community gathered in College Hall to celebrate the Mid-Autumn Festival and hopefully catch a glimpse of the first full moon of fall. “This is one of the two most important festivals in Chinese culture,” Chinese Language and Culture Professor Jing Zhang said. Although the rainy weather kept the festivities indoors, festival-goers still enjoyed a fun-filled evening. Fulbright Chinese Teaching Assistant (TA) Jingou Yang, who organized the event, offered welcoming words and explained the significance of the festival. Music was provided by Naimul Chowdhury (‘15), a graduate student in the Data Science program, who compiled a playlist of his favorite Chinese songs and suggestions from other students. The event also featured several musical performances by students. Chowdhury and thesis student Kathryn VanEtten spontaneously performed an energetic song and dance duet. Thesis student Angelo Acebedo sang “Light Years Away” by Hong Kong singer-songwriter G.E.M. Members of the Second-Year Modern Chinese I class also performed “The Moon Represents My Heart,” a famous Chinese ballad. Jingou Yang and Lorelei Domke performing the final song of the evening. Of course, no Mid-Autumn Festival celebration would be complete without mooncakes. Mooncakes, or “yuèbǐng,” are small, round cakes with a dense filling. Mixed nuts, white lotus, wax gourd and red bean flavors of mooncake were served. An assortment of other foods, including sesame cookie rolls, pineapple cake, White Rabbit candy and sweet and salty rice crackers, gave visitors a taste of authentic Chinese snacks. Refreshments, such as soda and green tea, were also available. “It’s like Thanksgiving in the United States,” Huang’s husband, Professor Feng Hao from University of South Florida (USF) Sarasota-Manatee, added. 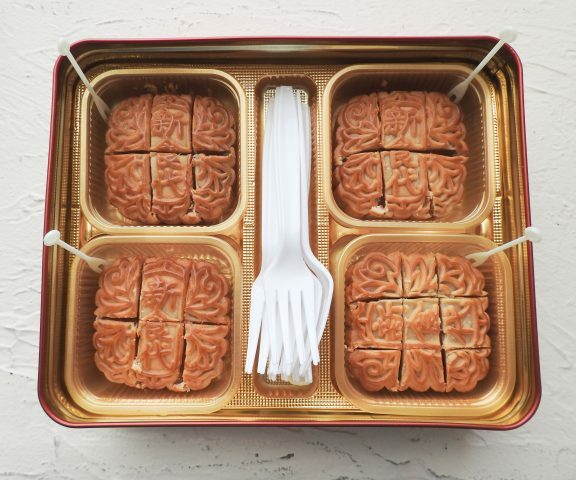 Chinese mooncake is a traditional festival delicacy. Students enjoyed the opportunity to learn about Chinese culture in an engaging way. “I think [this event] is very integrated,” second-year Hailey McGleam commented. “It’s not just people from the Chinese department. It’s people from all backgrounds. It’s really fun and lively.” McGleam also hopes to take part in Chinese festivals and traditions during her year abroad in Shanghai. 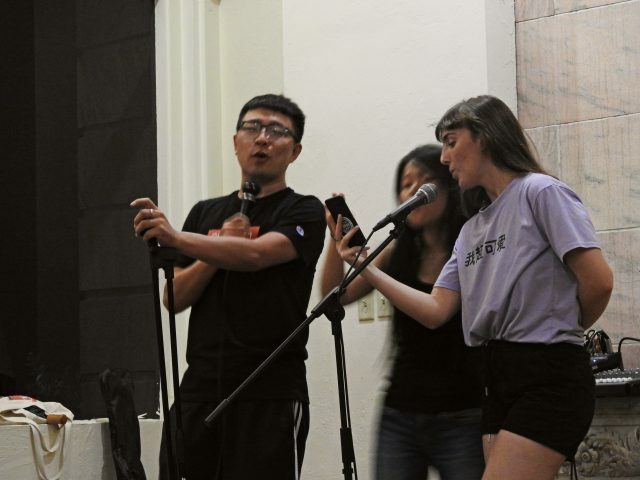 Domke and an emotional Yang performed the final song of the night, “Péngyǒu,” which means “friend.” As the event came to a close, empty boxes of mooncake and exhausted refreshments illustrated a successful Mid-Autumn Festival. Yang felt it was important to hold the event at New College because “you can never learn a language without learning about the culture behind it.” Yang credits Chowdhury, Domke and thesis student Derek Otis for their advice and assistance in setting up the event. The next big event of the Chinese program will take place in the spring semester. 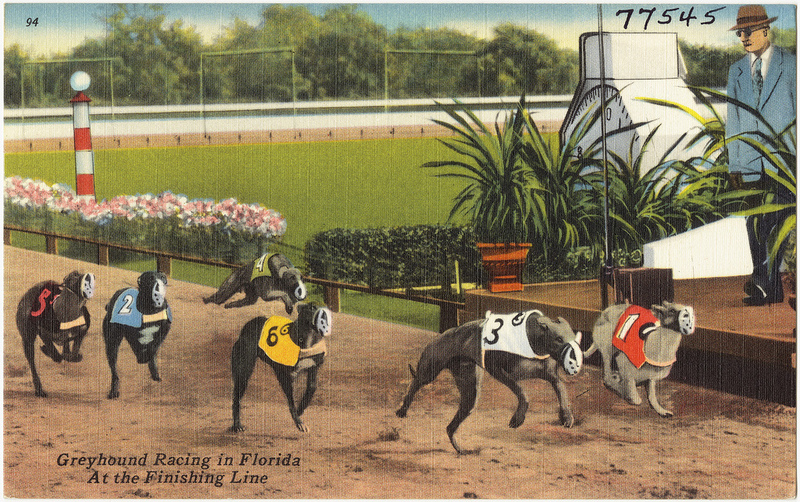 Information for this article was gathered from time.com.